Like Mia Francesca and Manny’s Deli, Terragusto always felt like one of those staple restaurants around town that everyone and their proverbial mother had been to, but, well, me. A close friend raved about it for months, and finally got a small group together to check it out. It’s the kind of Italian food I love, fresh, daily homemade pasta, bright flavors, fresh, sustainable seafood and meats, quaint, simple room (without cheesy murals or wicker-wrapped chianti bottles stashed in every open corner), and plenty of food for a good price. We ordered the chef’s tasting (available at the new Terragusto location), a prix-fixe selection ($48) where a parade of antipasti, salads, starters, entrées, desserts and coffee are sent your way at the chef’s whim. You share everything with your tablemates, from the trout salad and white bean purée smeared crunchy crostinis, to the spinach custard flan, Rushing Waters Trout and Wagyu beef. 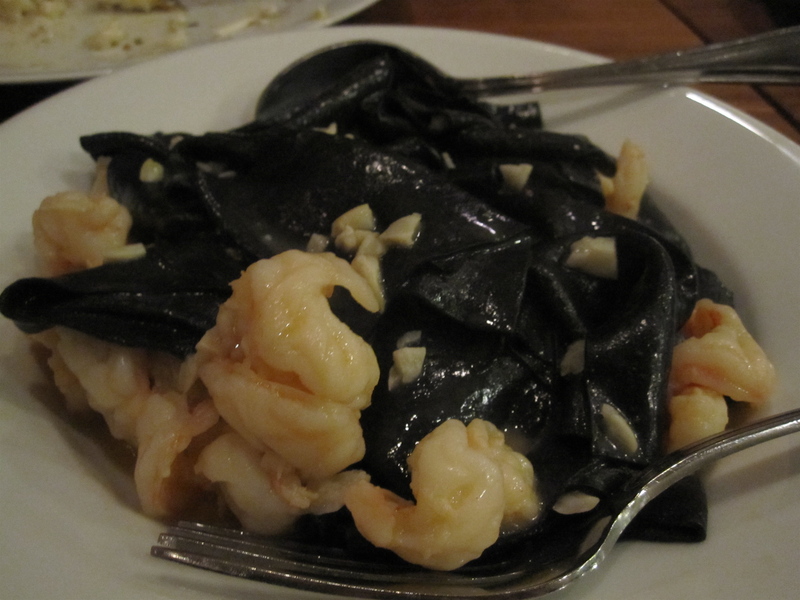 But the highlight of our momentous meal was by far the cuttlefish ink pasta dotted with fat, buttery shrimp. Cuttlefish is more sustainable than squid, and when its ink is used to make the silky pasta ribbons, a briney, delicious treat ensues. The shrimp add bursts of color and sweet-salty touches to the perfect pasta dish. 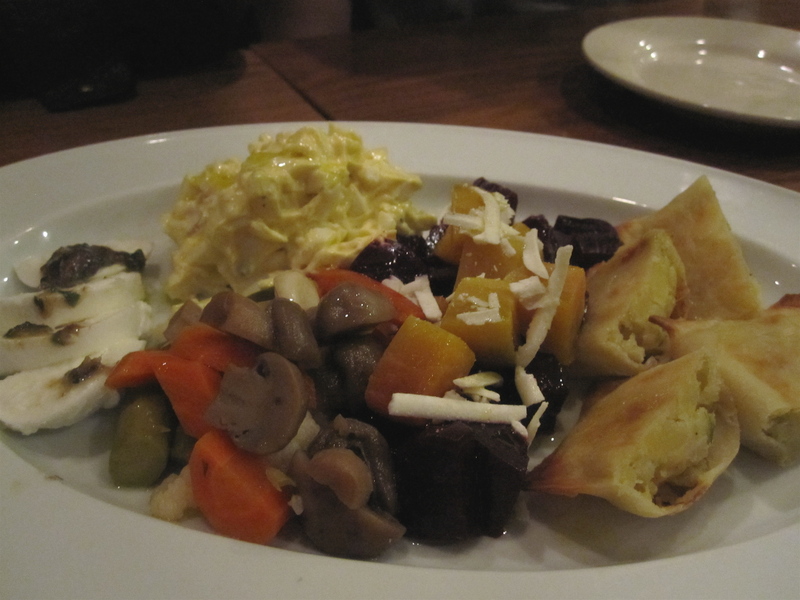 Besides the inky delight, I also loved our antipasti course, a melange of watery buffalo mozzarella slices, pickled veggies, egg salad, bright beet salad and cheese filled pastries. Dinner continued with dessert, the best being a dark chocolate mousse with caramel and berry pannacotta. 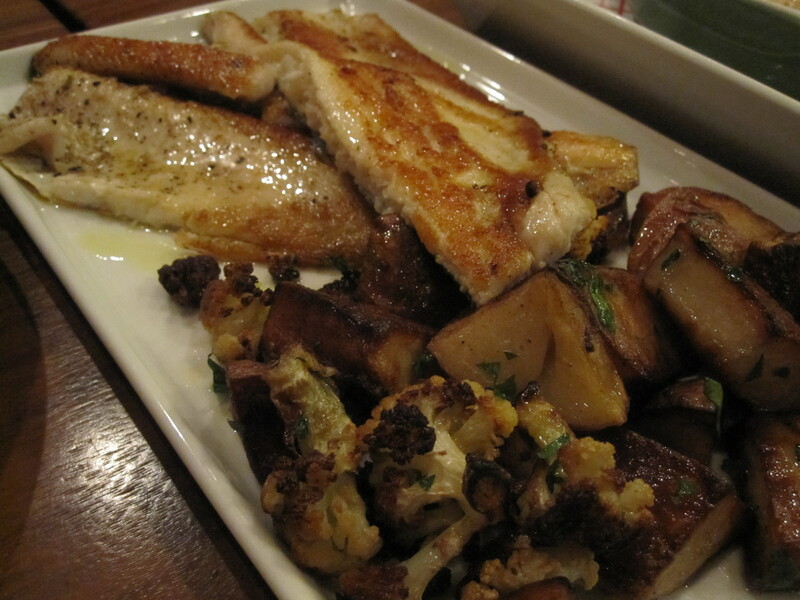 We left happily full, nothing compared to those stumbling out of Geja’s, nestled just below the restaurant. I’ll be back to give the chef’s tasting another go, and now to get to Manny’s and Mia.. 340 W. Armitage Ave. and 1851 W. Addison. I have the tendency to avoid Italian restaurants, due to the many disappointments (euphemism) I had in Brussels and other European cities. 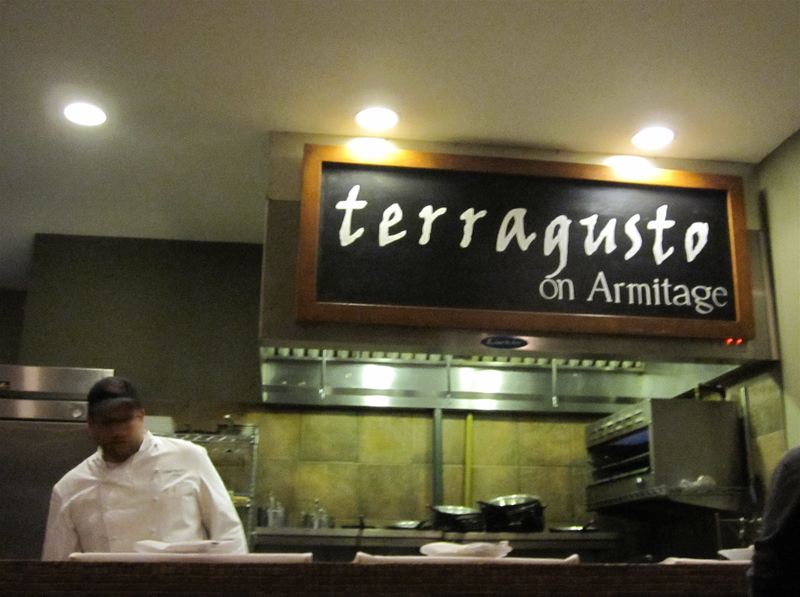 So I have not made it yet to Terragusto, in spite of everyone’s reccomendation here. I will have to go. So far I only tried Cibo Matto, and I have to say they served the most authentic pasta alla carbonara I have ever eaten outside of Italy. Next time we need to bring our wheelbarrows to wheel ourselves out 🙂 Let’s go back soon please! I can’t get enough of terragusto!